It's painful when you cannot stop overeating, you feel bad about yourself, your body and your life. 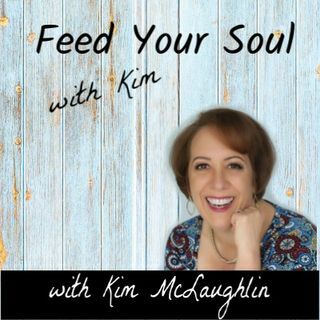 Each Monday, join Kim McLaughlin, as she helps you have peace with food and feed your soul! If you want to put food in its proper place as nourishment and increase your satisfaction in your life - this podcast is for you. Psychotherapist, blogger, author and speaker, Kim McLaughlin of www.FeedYourSoulUnlimited.com provides you with tips and tricks to help you end emotional eating and ... See More thrive.